Although Oculus VR is going ahead with a Windows launch of its Rift headset in the first quarter of 2016, work on OS X and Linux support has been "paused," according to the company's chief architect and technical director on the project. Oculus wants to focus on a "high quality consumer-level VR experience at launch across hardware, software, and content on Windows," Atman Binstock said in an official blog post on Friday. "We want to get back to development for OS X and Linux but we don't have a timeline." 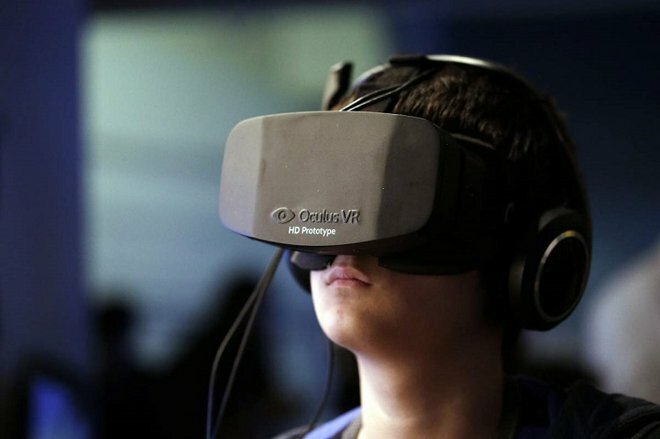 With technology finally able to keep up, virtual reality is in the middle of a resurgence. Several major companies have announced or already launched VR headsets, including Sony, Samsung, and HTC. The Oculus Rift may be the most anticpated model however, since developer prototypes have been available for some time and are already supported by a handful of games. Oculus also has the financial backing of Facebook, which bought it for $2 billion in cash and stock in March 2014. The final shipping version of the Rift will display a 2160x1200, 90Hz image across two eyepieces. Binstock noted that maintaining this quality at high framerates is extremely demanding, and so Oculus has set out equally high recommended system specifications. These include the equivalent of a 3.3 gigahertz Intel i5-4590 processor, an NVIDIA GTX 970 or AMD 290 graphics card, and 8 gigabytes of RAM. At a minimum users will need a PC with Windows 7 Service Pack 1, two USB 3.0 ports, and an HDMI 1.3 port allowing a 297-megahertz clock via direct output. The last point may prevent many notebooks from connecting to the Rift, since even systems with separate graphics cards often push their external output through a graphics chip embedded in the CPU. The issue may be moot, given that very few mobile graphics cards have enough power to support the Rift. That means that few current-generation Macs will be able to support the headset —even the 5K iMac, which starts at $2,499, uses either an AMD M290X or M295X mobile graphics card. The Mac Pro should in theory have no problems, but starts at $2,999 before adding basic accessories like a mouse, keyboard, or monitor.